property manager Ra? ?l Fuentes in Airbnb. About two months ago, the popular american web site of bed and breakfasts announced the opening to the cuban market, ? ?one of the few countries excluded from its long listings in about 190 nations. This has been one of the most significant trade measures, after the relaunch of the relations between the two governments, last December 17th. But let? 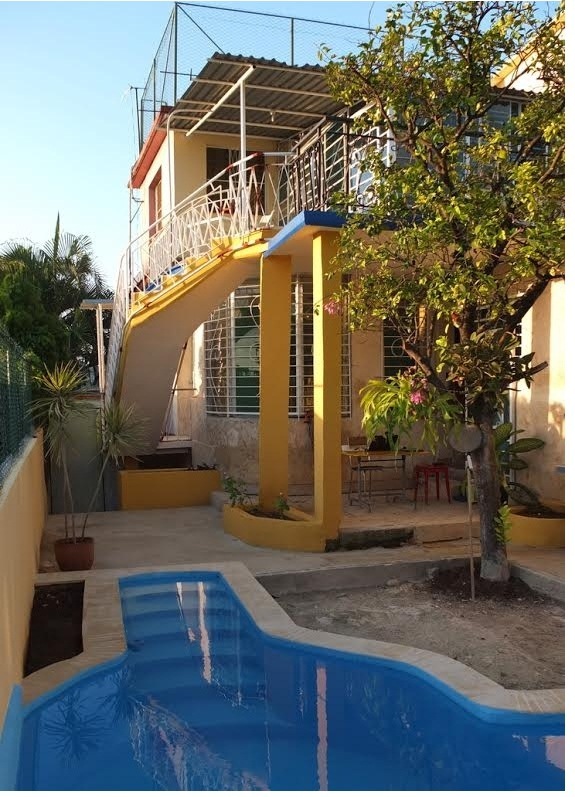 ?s check the pros and cons that face the cuban landlords registered in Airbnb, through the view of the protagonists. Very close to the restored Iglesia del ? ?ngel, where National Hero Jos?? Mart?? was baptized, is located Casa Vitrales. The old house was named after the stained glass that its owners have preserved. 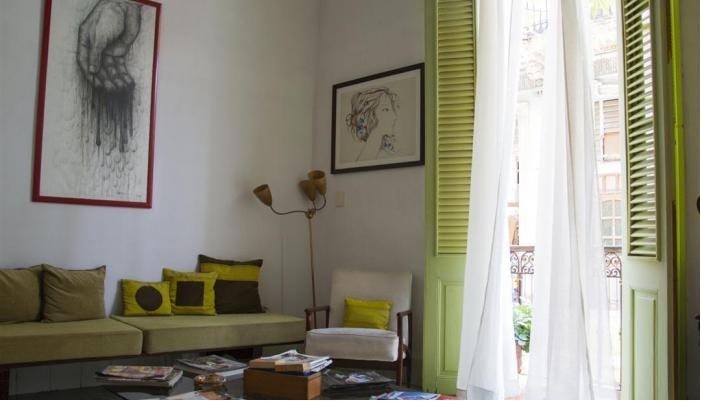 This is one of the most famous bed and breakfasts in the cuban capital and for its credits it has taken part in articles by The Guardian and El Mundo. At the time of writing, Casa Vitrales belongs to the over 1000 cuban hostels listed in the popular Airbnb. Osmani Hern? ?ndez Rosales, who has been running the business together with his mother and father, recalls that he was contacted by Airbnb before April to start doing business. “So far, everything is going well, they are serious people, but obviously I? ?d like some things to improve, like the payment”. Since direct banking transactions are still banned between american and cuban banks, as well as the use of Mastercard issued in the USA, the payment is a little bit complicated. Osmani says? ?that they? ?deposit the money on a foreign agency and then the person pays here in cash. “There? ?s no delay, but it would be better if transactions were direct”, he said. Hern? ?ndez Rosales is cuban, but since 2013, he has lived in Rio de Janeiro and also has traveled to several european countries. When I invite him to compare with the service in his native country, he soon answers: “the situation in cuban hostels is still pioneer. I think the 90 percent of the people involved in this business have no idea of what they? ?re doing; to them it? ?s just a way of living. I believe they should do specialized courses; besides, as most of them haven? ?t traveled abroad and neither received a good costumer service, they don? ?t take into account small details that could be appreciated by visitors”. 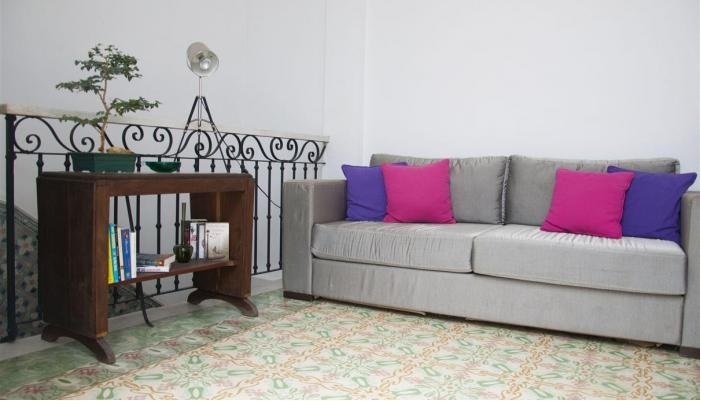 Casa Vitrales is a spacious and well ventilated hostel, with balconies to the street Habana (front) and Callej? ?n Espada (back), and has six? ?boutique rooms, working since 2009. Its owners have agreements with? ?several agencies from Germany, Italy, Chile and the USA. Before December 17th, they had received american guests, but after being listed in Airbnb, the visits from that country are more frequent. Osmani says that currently, their house is being increasingly requested and it? ?s necessary to book two or three months in advance. For over 12 years, Ra? ?l Fuentes Morales has been running the web www.cubaparticular.com that includes around 500 hostels all over Cuba. Due to his sustained work, he was awarded the Local Travel Guide and Service International Competition prize, in recognition of his excellent host skills. Today, more than 20 hostels managed by him, are listed in Airbnb. Before the popular site had included Cuba in their web, they contacted Ra??l. He remembers the five meetings they had to work out details of the project: “Everything went really fast. They explained me the process and they themselves created my profile and advertisements, which I am currently improving”. Ra? ?l works as a property manager, and has under his control 25 properties listed in Airbnb. “I announced just that number, because the business is just starting, but I might increase it later. I chose the best ones considering the cleanliness, attention, speed, management, reliability, safety and warmth offered to the guests. Some hostels belong to Vi? ?ales, Trinidad and Santiago de Cuba, but the majority of them are in Havana. I don? ?t think is worthwhile to have many hostels. The most important point is the quality of the reviews written by the clients. The fact? ?that the client enjoys their stay and comments on it, is one of the key? ?achievements of Airbnb”, he affirmed. For the time being, this property manager takes a positive view of the way the business? ?is behaving. “I think it? ?s working properly in Cuba and so far, they have been efficient in the services and payments. An agency delivers me the money and then I give it to the landlords. My purpose is to earn money, while providing a good service and feeling quiet, because this is just the beginning”, Ra? ?l explained. According to??Ra? ?l the business is doing well, but he understands that there are issues that could be improved, like the possibility for Airbnb to have an office in Cuba, aiming to make the trade more direct and personal. The house of the architect and designer Mayt?? P? ?rez Men? ?ndez is one of the 25 properties announced by the property manager Ra? ?l Fuentes in Airbnb. She began renting the apartment, with a careful interior design, from January 2015 and she? ?s quite happy with the results. 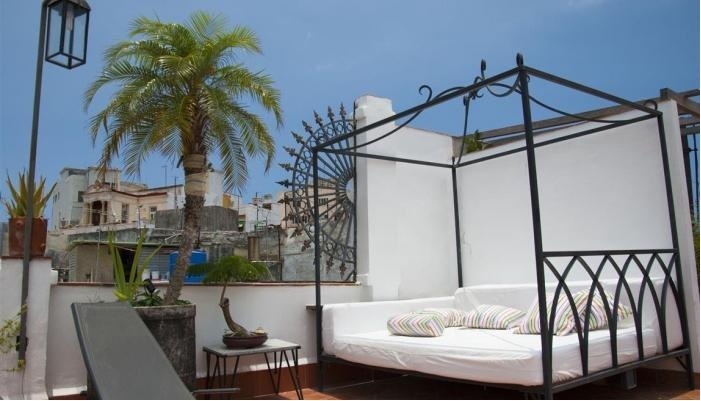 Her house is located in calle Empedrado, very close to Museo Nacional de Bellas Artes and also the famous Bar La Bodeguita del Medio and the emblematic Plaza de la Catedral. “Many??eagerly? ?awaited a long time to visit Cuba, traveling here was one of their dreams, that? ?s why I work hard to offer a nice? ?service to my clients. Generally I receive families, couples, friends, always educated and quiet people. They will? ?stay in a multi-family building, so they should behave in a rational manner in order to respect their neighbors. I don? ?t rent to people looking for prostitutes or drugs, as I believe that kind of tourism only brings destruction”, she said. She promotes the best cultural values of her country and offers advice to the tourists interested in? ?visiting other cities such us Trinidad, Varadero, Cienfuegos or Pinar del R??o. In the same way, she constantly communicates with her clients during their stay so that they can feel oriented. When she suggests some bar or restaurant is because she has? ?been there before and knows that the quality of the service is high. The couple Marlene Poey Pe? ?alver and Michel Roland Piguet has been renting for two years an apartment in the residential are? ?of Nuevo Vedado in Havana. Right after knowing that Airbnb was opening their services to Cuba, they published their advertisement on their web. Since then, they have been receiving americans more assiduously. They took the initiative, as Airbnb didn? ?t contact them. The only contact they had was to verify their phone number on Airbnb web. After ? ?the first steps, the doubts about how payments would be done arised. At that time, they were offered some options: through a bank transaction, Western Union and Paypal. After analyzing each of them, the couple decided in favor of the last? ?one because they considered it to be the most advantageous. However, a common cuban still can? ?t use it. 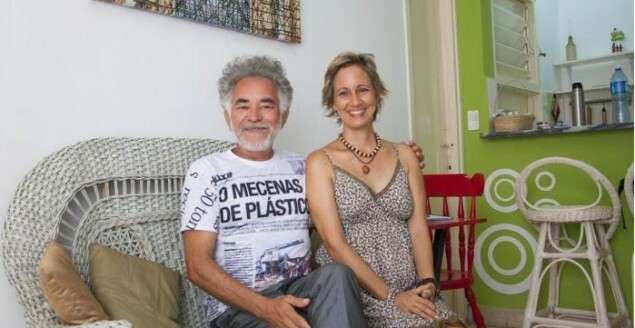 Roland Piguet, is a Swiss citizen and cuban resident since 2009, so he offered his Paypal account in order to receive his wife? ?s payments, as she is the legal owner of the business. To Michel, the issue of the payments of Airbnb is one of the most complicated in the case of common cuban people. On the other hand, he? ?recognizes that just a few cubans have access to Internet, which makes the task difficult. The landlord must answer the requests in less than 24 hours, according to the requirements of Airbnb. Likewise, he questions the fact that only americans are allowed to be accommodated through Airbnb. Text and Pictures by Nadia Herrada Hidalgo. Panamerican World.??? ?Habana.